It was erroneously believed for decades that the bee is a creature without enemies or threats to its survival. But this myth has been proven incorrect, as a wide number of factors now seriously afflict bee populations. Many of the threats to the honeybee originate from the actions of humans, having created toxic environments and dangerous elements impacting the honeybee in ways that were never imagined. However, some threats have causes that remain a mystery, so preventing them is challenging. Begin your beekeeping journey by becoming knowledgeable about potential threats to your honeybees. This will help you build a prevention plan or determine the cause of a problem should one arise. Colony Collapse Disorder is a relatively new phenomenon that has baffled scientists and beekeepers alike. From 2006-2013 beekeepers reported an extreme loss of viable beehives due to the abandonment of the hive by the worker bees. The unexplainable mass exodus of the workers left behind their queen, immature bee offspring, and some nurse bees to take on the role of caregiver for the remaining bees. This often results in the demise of the hive as a whole. There have been numerous theories as to the cause of CCD, but no research has yet been able to definitively pinpoint the reason for this behavior. After 2013, the reports of CCD incidences have dropped, but remain a serious concern for beekeepers. Telltale signs of CCD include dead bees around the hive, a hive with a queen and young but a noticeable absence of workers, and an abundant amount of honey and pollen stored in the hive. If any of your hives experience CCD, do not reuse the equipment from the hive. Until the cause of CCD is known, it is better to be overly cautious to prevent the phenomena from occurring again in another hive. The vorroa destructor mite is a parasite that can breed only in a honeybee hive. The mites will feed off of honeybees, causing open sores that lead to infection or a virus that can severely deform the wings of the bees. This leaves afflicted bees grounded and unable to support the hive. There are theories that these mites are the cause of CCD, but there has been no definitive proof at this point. Detecting a vorroa destructor mite infestation can be done using several methods. Inspecting bee pupae while they are stark white will make seeing the brownish-red mites easier during the early stages of an infestation. If the infestation is more serious, mites can be detected using the ether roll or bee wash methods. An ether roll is when a few hundred bees are collected in a jar and essentially gassed using an ethanol based aerosol spray. The jar is then rolled and you can see the mites against the glass as they die and release their hold on the bees. A bee wash also involves collecting a few hundred bees in a jar, but the method to extract the mites is different. Alcohol or a detergent/water solution is used to drown the bees by shaking the bees in the liquid. The bees are then strained from the liquid and the beekeeper can determine if mites are present and how serious the infestation has become. Controlling the infestation can be accomplished by removing the infected pupae if the infestation is low, but the employment of a vorroa destructor mite pesticide may be called for in serious cases. Though not ideal for the health of the bees, a pesticide specially formulated for these mites may be the best course of action. Though there are a few pesticides that are nontoxic to bees, they are few and far between. Most pesticides used on crops, gardens, and weeds are deadly to the honeybee, and are cited as being the cause of the decline in the bee population. Some scientists have speculated that pesticides are a contributing factor in CCD, but this is still just a theory. If you have no other choice but to use a pesticide, do your research and find the best option for your bees. You should spray the pesticide at night when the bees are less active and use a pesticide that will degrade faster. Chalkbrood is a fungus that can devastate the brood of a colony. 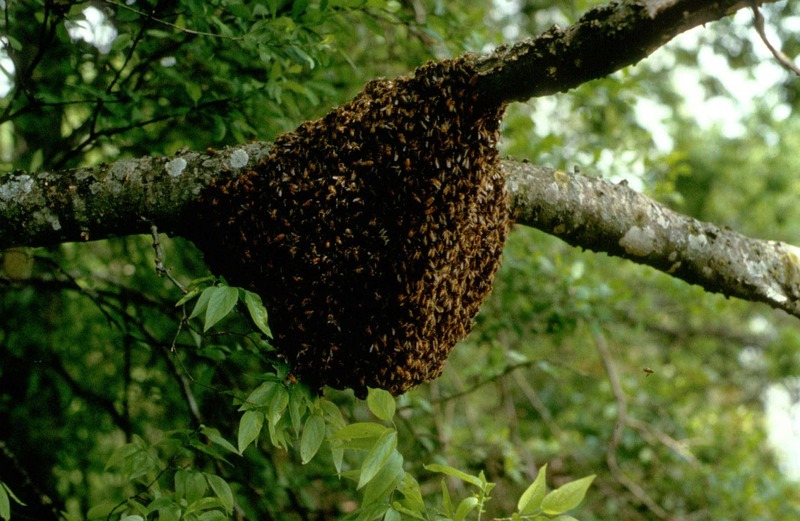 Fungal outbreaks can be prevented by vigilant maintenance of the beehive by the keeper. Carefully monitor ventilation, moisture, and temperature. Broods combs should be changed every 5 or 6 years to deter any accumulation of fungal spores. You should also be mindful of the supplier of your bees, ensuring that the supplier is reputable and will sell you only healthy bees. Climate change has dire consequences for the honeybee, which relies on the changing of the seasons to dictate their behavior. As climates change, winters are warmer, habitats are altered, and the cycle of the honeybee is disrupted. Warmer winters confuse the honeybee and will cause them to either hibernate later, or emerge too early in the year, risking significant loss of life. Bees also lose food sources as climate changes kill off certain crops, plants, and flowers, making it more difficult for the bees to sustain their hives. Unfortunately, humans are at the root of most of these issues, but individual humans can be just as dangerous to a bee colony. Keep your hives as far from neighbors’ property as possible to prevent, as well as you can, bees from venturing onto their property, having pesticides from the other property reach the hive, or attracting attention from neighbors who may view the bees negatively. Skunks, bears, raccoons, mice, beetles, ants, and wasps all pose threats to the honeybee. You can prevent most of the predators from causing harm by elevating the hive off the ground, keeping the hive well guarded and properly secured by not allowing any extra openings and installing guards, and frequently inspect the hive for any signs of animals trying to break into the hive.